Grunske's is a local favourite and produce incredible seafood dishes every day, as well as selling caught-that-day produce in their market. Located on the Burnett River you are guaranteed to have serene views and the freshest seafood money can buy. 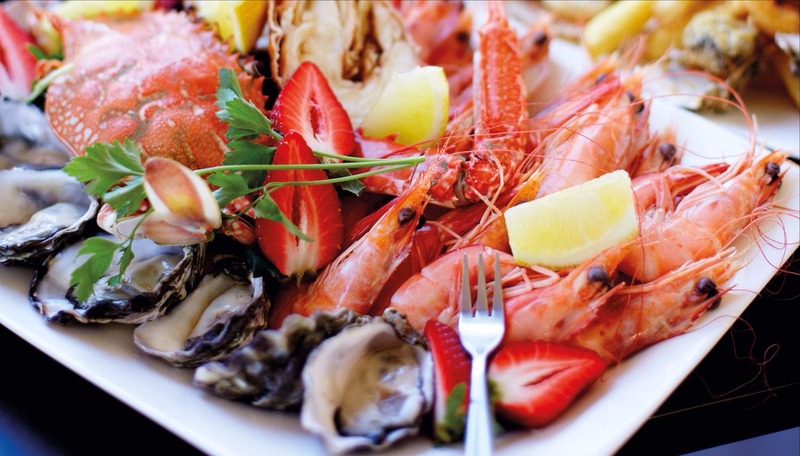 Variety: Local wild caught prawns, Pacific oysters, Moreton Bay bug, Smoked Tasmanian salmon, Red Iron Bark hot smoked Spanish mackerel, seasonal cooked crab, crumbed local fish pieces, crumbed sea scallops, calamari rings, house made salad & chips. Our Opinion: "The Freshest Platter with the Best View"
The Waves Sports club offers a relaxed dining experience with high-energy live music and family friendly entertainment. This venue is perfect for a Friday night dinner where parents can relax, enjoy a delicious 'The Waves Seafood Basket' and kids can be entertained in the kids zone. Our Opinion: "The Best Platter for a Family Night Out"
I can now die happy knowing I have experienced this seafood platter. This 'seafood platter for two' is a little bit fancy, a little bit out of the ordinary and a whole lot delicious! Variety: Hot side; choose Gumbo or Thai curry seafood mix, spiced calamari, salmon fish cakes, crumbed whiting, chips. Cold side; Moreton Bay bugs, prawns, oysters, fresh fruit, water crackers and Australian cheeses. Our Opinion: "The Platter Worth Spending Big On"
The Red Shed is Bundy’s one-stop-shop for fresh seafood. Budding chefs, and talented home cooks and seafood fans flock here to pick up fresh seafood. Although there is not restaurant or café attached their cold seafood platter is the perfect accompaniment for a sea-side or river-side picnic. Our Opinion: "The Best Platter to Enjoy on a Picnic by the Water"
"The ocean plate" at the Queenslander Hotel, or the 'Old Queenslander Hotel' as it is known by the locals, is a light, traditional seafood basket perfect for lunch or for a single person to enjoy... no sharing here! Our Opinion: "Best single person/lunch time platter"
So which one is the best?... Well that's up to you to decide!